Phantom Cardboard: "I'm In The F*ckin' Zone!" "I'm In The F*ckin' Zone!" It's been a minute since I posted a new card. I've been extra busy with grown up type stuff. But, I had to share this one right away. This is a card I've wanted to make for some time now. I'm a big basketball fan, it's actually my #1 sport to watch or play. White Men Can't Jump and Above The Rim are my favorite basketball movies. 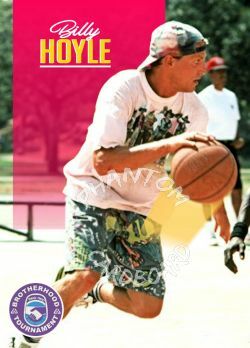 I had wanted to do a Billy Hoyle card using the 1991-92 Skybox design but I hit a road block seeing as I have no idea how to make those three dimensional geometric shapes, so the idea got shelved in my brain. I prefer to use a card design that is the same as a movie's release. It's part of my card's shtick. Since White Men Can't Jump came out in 1992 I really wanted to use the Skybox's design, but like I said I didn't know to pull off those floating shape thingys (I'm not an actual graphic designer so I don't know all the correct jargon). I looked at designs from the other brand's 1991-92 sets but they just really didn't do much for me I guess. I love Skybox's first few sets. They had a futuristic digital design that really made them stand out from the other brands. 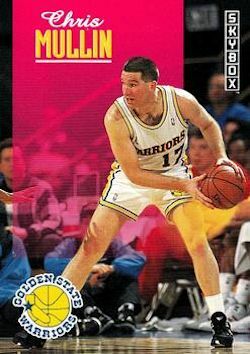 Then it just sort of dawned on me that the basketball card sets all span two calendar years because of how the basketball season runs. So, why not take a run at the 1992-93 Skybox design (duh). Even though the design looks simple enough I spent a little more time on this one then I usually do when recreating a card design. I was pretty excited about this one. One, because the majority of the cards I make are baseball designs, they're overall just more iconic. And two, because of the more modern digital look was something new for me. To date this is the only design I've done past 1990. Making the hot pink gradient design element wasn't all that difficult, but I did take a little extra time masking out Woody. I just wanted it to be extra crisp. I sharpened the image and added a little more contrast as well as made it a tad darker than the original because I noticed most of Skybox's images were a bit darker - probably to make the bright colors pop a bit better. I didn't want to go too dark though seeing as how all of WMCJ's hoops scenes were on outdoor courts in California. This was actually the second image I tried. The first was at a different point in Billy Hoyle's drive and just presented too much challenge with getting all the elements to work together correctly. In searching for an image that would work better with the design I lucked up on finding the logo that was on the jerseys from the two-on-two tournament that Billy Hoyle and Sidney Deane were in. Originally my card wasn't going to have a team logo but finding the Brotherhood Tournament logo was such a rad touch. Isn't the internet cool? I worked awhile on getting the glowing basketball trail right. I tried to over complicate it, but in the end it basically came down to putting a motion blur on a simple vectored shape. Then it was over to Dafont to find a couple of close enough font matches to the original. 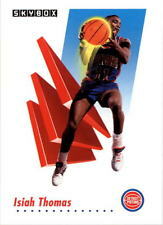 I decided pretty immediately that there will be a Sidney Deane companion card. I also started to think of other roles for both Woody Harrelson and Wesley Snipes. There's Major League, Wildcats, The Fan, and Semi-Pro to putz around with in the future. Also, in looking for images I came across this blog that had some really cool custom basketball movie cards too.